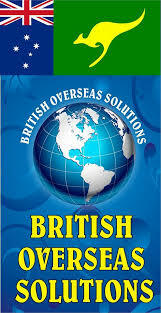 British Overseas Solutions is located at Near UAE Exchange, Sutheri Rd, Manavta Nagar, Hoshiarpur, Punjab. User can find the complete detail on profile of British Overseas Solutions, along with option to book class online. British Overseas Solutions is engaged in the imparting education to students of all age group. Students and parent will also get the option to check subject wise fee they charge and compare the same with the other tuition / coachings nearby location. It would be immense pleasure to introduce British Overseas Solutions as one of the leading Indian consultants educating foreign language, whose role is to guide the prospective students to pursue their higher studies abroad and help to fulfill long standing desires. Since 2008 British Overseas Solutions is offering IELTS, SPOKEN ENGLISH, PERSONALITY DEVELOPMENT SESSIONS to the students seeking overseas education. We own entire two floors of Building and a separate coaching unit in prime location; next to UAE exchange and Just 20 meters away from the Famous Education building i.e. Govt. College of Hoshiarpur.